Our first port of call is Porto Venere in Italy. Porto Venere is a destination onto itself being a beautiful coastal village with a couple of wonderful churches and an old fortress. It would be easy to spend some time wandering the tiny cobblestone streets, checking out the small shops and immersing yourself in the delightful Italian culture, having an espresso or cappuccino with some bruschetta at a sidewalk cafe on the waterfront. But wait; substitute the coffee for a glass of the local wine and an Italian beer and that describes our morning perfectly. Cinque Terre last year and we hiked from village to village…a great experience. So we were extremely happy to take the tour which took us by boat from Porto Venere to Vernazza, one of our favourite villages. It was a beautiful boat ride up the coast and we could see exactly what we hiked last year and what the villages looked like from the water perspective. Absolutely gorgeous! We had a short tour in Vernazza and given about 30 minutes for wondering around. This is a perfect place for a gelato before getting back on the boat and heading for another village, Montorossa. Again a brief tour and some time for exploration before the boat ride back to the Porto Venere. 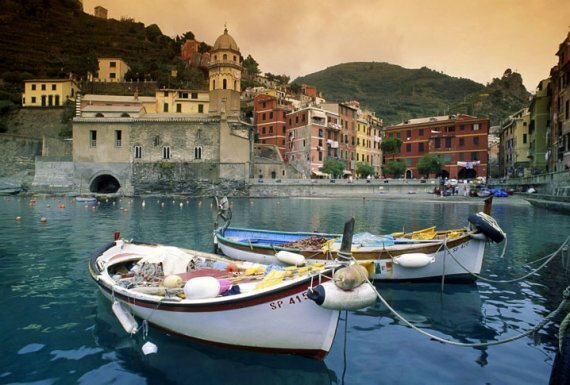 The tour was a great introduction to the Cinque Terre for those who had never been. However, it does remind me that ship tours can be frustrating…lots of people being led about like sheep with little room for individuality. It’s great that the shore excursions are complimentary but it also means that many, many people will be on your same tour. You just have to expect it and bring some patience. Dinner in the dining room was very good, but I miss the structure of the traditional, designated dining times. The inclusion of having your alcohol with your cruise package makes it much easier to decide what you want and the wines chosen by the cruise line have been OK so far. The first entertainment on the cruise was a singer who spent some time on Broadway and that was her show…singing Broadway songs. She was pretty good and we enjoyed the show. Next stop…Marseille, France. We have never been there so looking forward to it. Marseille – a first time for us, we didn’t get on the tour we wanted, so we decided to see Marseille independently with our focus on the old port and area. 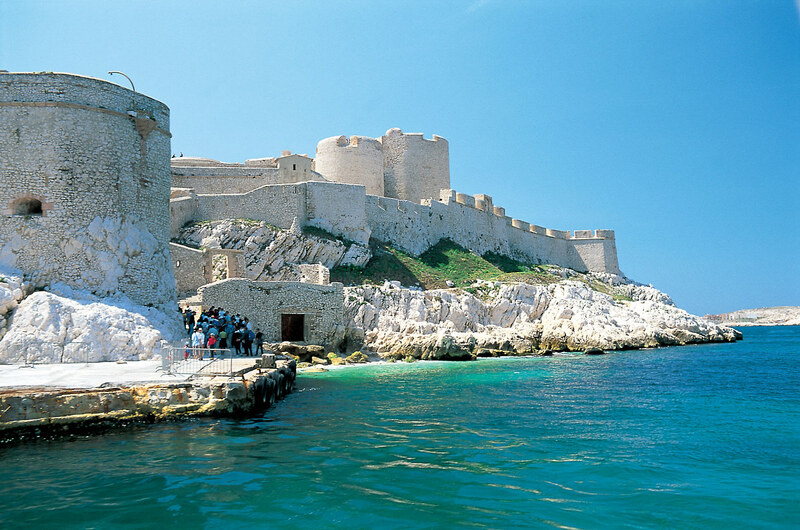 We also wanted to visit the old prison of Chateau d’If. definitely a visionary of building design. 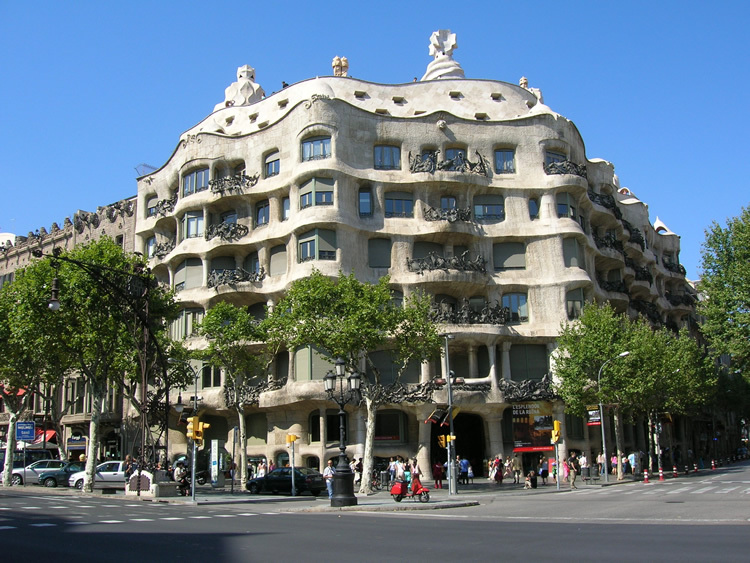 Our first stop is La Pedrera, a private apartment building and one of the tours best highlights. No longer used as residences, the unique building is well known for its extraordinary feature. Take a moment and Google it…you will be fascinated by its design and flow. Next stop was the Park Guell, a UNESCO World Heritage Site. Located on a Barcelona hilltop high above the city, this lovely park is one of Antoni Gaudi’ most important creations and features some of his most significant structures. Originally to be a planned city, it is now a delightful, albeit very busy, park filled with whimsical Gaudi creations. 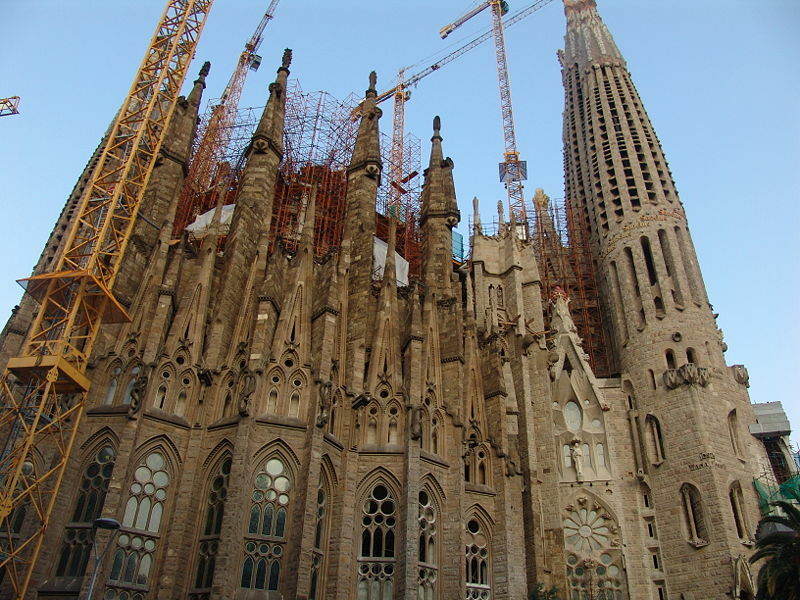 Our last stop of the day is the most famous and notable of all Gaudi’s work, Sagrada Familia church. This amazing structure was not finished at his death and its construction continues even today and they estimate another 25 years to completion. Even unfinished, the church is an amazing site. At sea – finally a day at sea. That’s the problem with such a extensive port itinerary there is not enough time to enjoy the ship. We held office hours today to help any of our group that had requests and then enjoyed some time exploring the ship and finding all those neat little areas you can kick back and enjoy the open seas. Dinner was at one of the specialty restaurants called Signatures, aFrench restaurant. Again the food was exquisite and we’ll have to hit the gym soon. There is no doubt that we do love cruising and it doesn’t get any better than Regent Seven Seas.